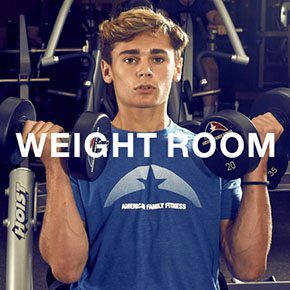 With the assortment of weight machines, free weights, and functional training equipment at our Glen Allen gym, American Family Fitness is the place to be for strength training. At American Family Fitness in Glen Allen, we believe there isn’t a more optimal place for you to reach your goals. Strength training, especially when combined with cardio or group exercise, improves fat burning, protects joints, and improves energy. Strength training can also increase muscle mass and the amount of calories you burn at rest. When you think about it, working out with weights is the perfect addition to any routine. Strength training is crucial to complete health. With increased muscle strength and flexibility, you'll enjoy a lifestyle that is focused on peak health and wellness. Visit our Glen Allen gym and discover the many strength training options we offer. 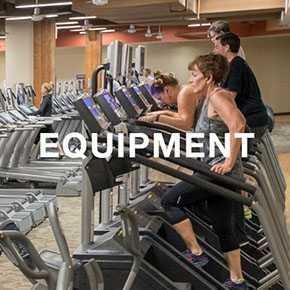 At our fitness center in Glen Allen, we offer an abundance of weight machines, functional training equipment, and free weights. Our trainers are also on standby to provide assistance with form, technique, intensity, and duration. 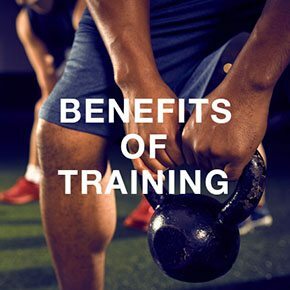 Our Glen Allen health club offers strength training equipment such as incline/decline benches, Smith machines, weight lifting platforms, dumbells, barbells, leg press, curling benches, and more!